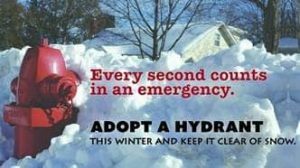 Don’t let your neighborhood hydrant remain undercover -“Adopt a Fire Hydrant”. We are asking that you help us by keeping the fire hydrant closest to your residence or business clear of snow. 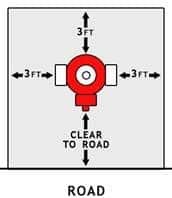 Snow should be removed about three-feet (3′) away from the hydrant in all directions and a pathway cleared between the hydrant and the nearest roadway.